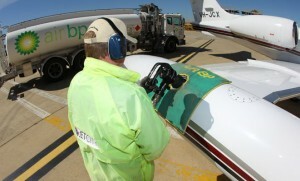 Aviation fuel excise is increasing under the carbon tax. The excise on aviation fuel for domestic use – both jet A-1/avtur and avgas – will increase under the federal government’s long awaited carbon tax plan, announced by Prime Minister Julia Gillard in Canberra today, with the increases set to cost the industry $930 million over four years. That will see the excise on avtur increase by 6.604 cents a litre to 10.16 cents per litre in 2014-15, while the excise on avgas will rise by 5.588 cents per litre to 9.144 cents per litre in 2014-15. The current excise on aviation fuel is 3.556 cents per litre. International aviation fuel use is not subject to the fuel excise, and is exempt from the scheme.